We have had such a crazy busy month, that I am REALLY hoping for a few quiet days in the run up to Christmas, if thats at all possible with 3 under 5’s running around. I have high hopes of us snuggling up on the sofa with bowls of popcorn watching moves, which is why I was very excited to receive this from the rather fab Warner Bros.
For Z it is the perfect selection of movies. He is very into Ben 10 ( although until we got the DVD had never watched it ) and Scooby Doo. I haven’t shown him the Mystery Machine yet, but I know he will love it as inside are 8 DVD’s! Little S is a little bit in love with Yogi Bear, and I just love the sack! 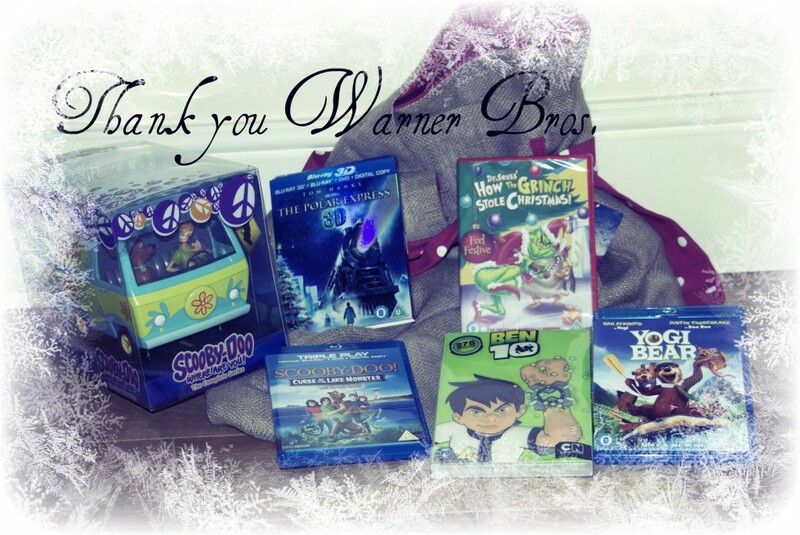 Thank you Warner Bros. What a great start to the Christmas holidays.